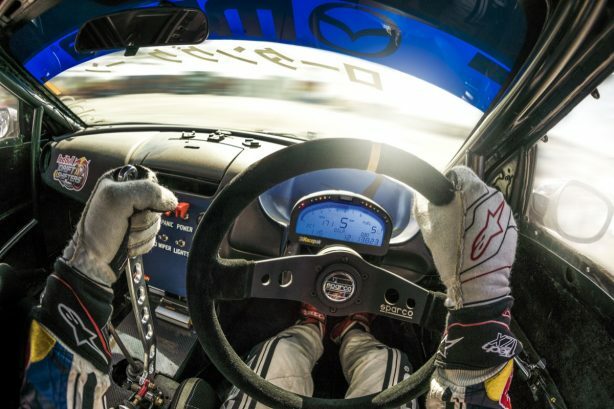 New Zealand drifting legend, “Mad” Mike Whiddett has drifted against some famous people and in some seriously exotic locations but his latest video tops them all. The location is the famous Kirov Factory in Saint Petersburg, Russia. Established in the 1890s, the factory was originally intended for manufacturing farm equipment and tractors but during the World War II was converted to produce KV-1 tanks. Mad Mike’s weapon of choice is his “BADBUL” Mazda RX8 powered by a turbocharged, “monster port” 20B rotary engine and controlled by a full Haltech engine management system. 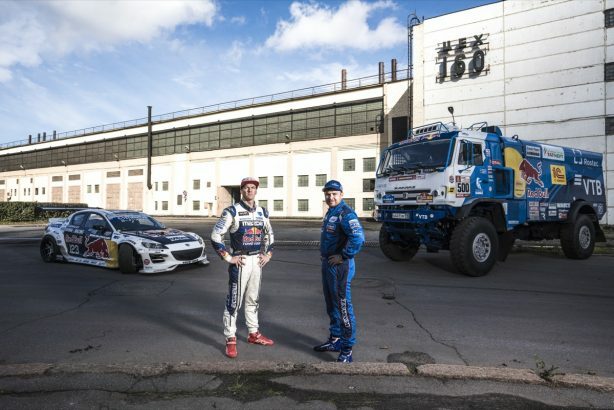 Mike’s local counterpart is Eduard Nikolaev, a multiple Dakar Rally winner and a Kamaz factory driver. 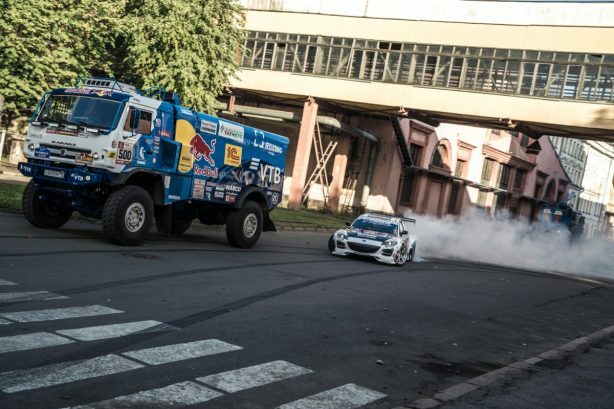 Eduard is driving his 9-ton, 4WD Kamaz Dakar rally truck. While both vehicles have a similar power output of approximately 1000hp that’s about where the similarities end. 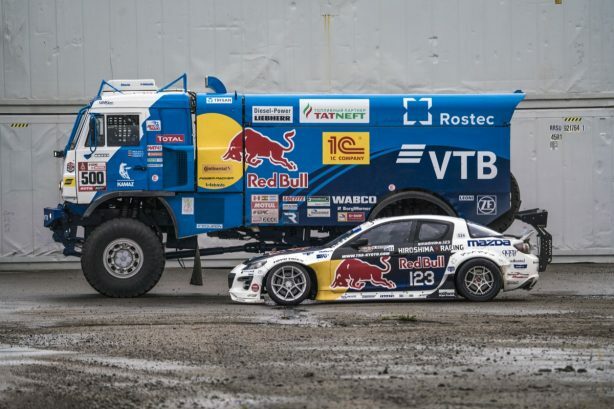 Weighing in at about 1/10th the weight of the Kamaz, Mike’s RX8 is powered by a relatively small, three-rotor engine. 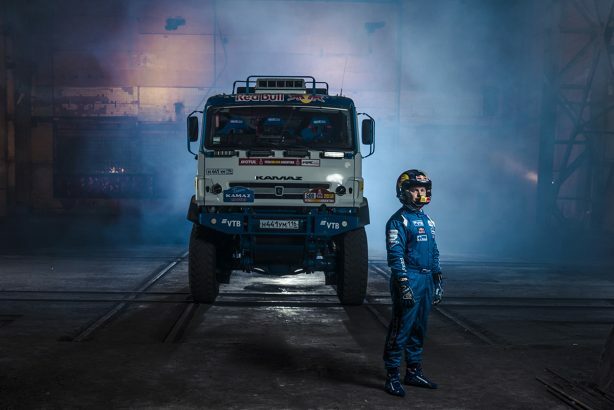 In contrast, the Kamaz powerplant is a massive 18.5L, V8 turbo diesel. 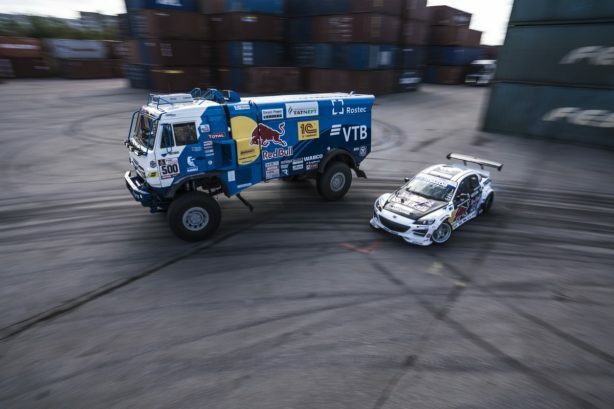 The triple rotor is hooked up to a 6-speed sequential gearbox, a rather simple setup compared to the 16-speed transmission used in the Dakar truck. 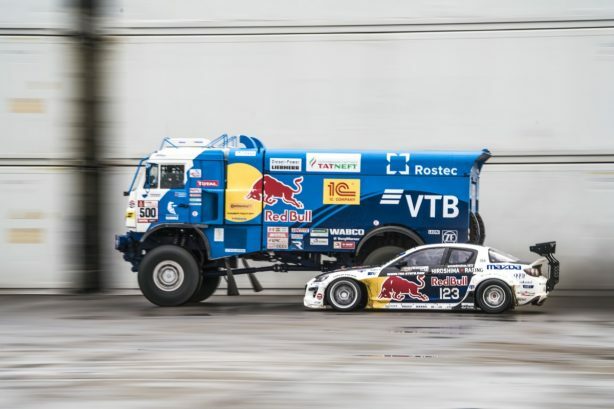 Mike’s 18″ wheels are only 2″ smaller than the 20″ rims used on the Kamaz however the tyre profiles are worlds apart! 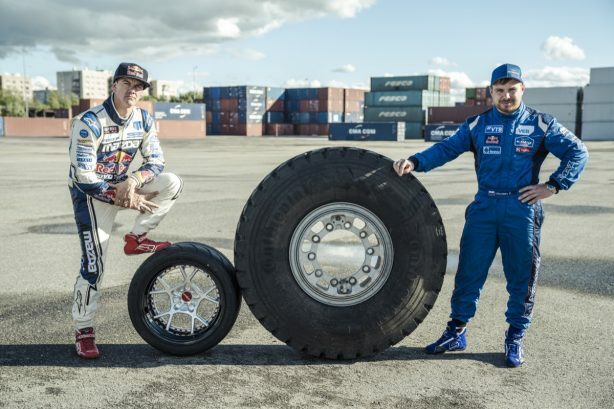 “The idea first came up a year ago as a joke at the Goodwood Festival of Speed in England where we talked about drifting our cars head-to-head.” – Mad Mike Whiddett.